Author, journalist, and radio personality Michael A. Cimino is a professional restaurant consultant and sommelier. Early in his career Michael became a serious record collector and during his tenure in suburban NY radio he conducted interviews with various musicians for Westchester’s WZFM, Rockland County’s WRKL, and Orange County’s WKOJ. During this time he had the opportunity to produce a documentary on his childhood heroes, Badfinger, and work with Rock legends Crosby, Stills, and Nash, as well as interview Folk legends Pete Seeger and the Kingston Trio. This also led to the publication of his first articles in the New York Review of Records and Rock Society magazine. 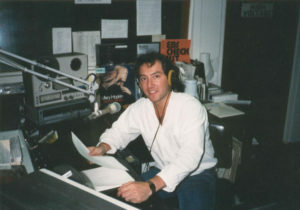 Following the homogenization of New York Radio, Michael founded Cottage Views Classic Rock News and won acclaim from the international music community with poignant reviews and interviews with legendary Rock musicians, including The Kinks’ Davies brothers, The Beatles’ original drummer Pete Best, Gregg Rolie of Santana and Journey fame, the late bassists John Entwistle of The Who and Noel Redding of the Jimi Hendrix Experience, members of 10,000 Maniacs, Little Feat, Fairport Convention, Strawbs, and dozens of others. Click here for photos. 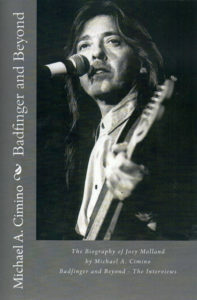 His latest book Badfinger and Beyond – The Biography of Joey Molland was released to wide acclaim and debuted at the Fest for Beatles Fans in Chicago in 2011. His first book, The Waitperson’s Guide To Wine – Practical Information For Service, was compiled from his wine lectures and is used as a training tool in newly opened restaurants and dining establishments. A newly updated version of the Wine Guide is in the works, as is an auto-biographical tome about his time in music journalism.